Tap dancers unite! A wonderful week of tap dance inspiration happened in Toronto August 23 – August 27 at Byfield Dance Experience (BDX). It was a wonderful opportunity for tap dancers from the GTA and as far east as New Brunswick- to come together, learn, grow and make friends. And of course, a TON of daily tap dance choreography that would make your head spin! And if that wasn’t enough, not one but TWO popular, exciting and very special guests came in to teach their tap choreography, share stories of their experiences and INSPIRE. Here’s some shots from behind the scenes. Tap dance class at BDX (Byfield Dance Experience) Toronto. Tap dance choreography to funk from Soulive. Definitely a good sweaty tap class workout. 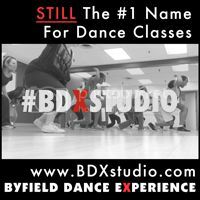 Visit a tap class at BDX and join the rhythms!